What’s the Best Heating System for Your Home? The cold climate in Canada means that heating system accounts for over 60% of the energy used in a typical Canadian household. Choosing the best heating system for your home necessitates that this new heating system has to be able to reduce your household energy expense and at the same time giving you and your family comfort during the cold Canadian days. According to Natural Resources Canada, heating accounts for 63% of the energy used in the average Canadian home, followed by water heating (19%), appliances (12%), lighting (4%) and space cooling (1%). Furnace – a type of heating system that heats air and uses a blower motor and air ducts to distribute warm air throughout the house – is powered by natural gas, propane, heating oil or electricity. Furnace’s advantage is that it’s inexpensive. Its con is that some blower fans can be loud, especially in older models. Boiler – a type of heating system that heats water to generate steam or hot water for heating that’s then distributed via a series of pipes – is powered by natural gas, propane, heating oil, biodiesel blends or electricity. Boiler’s advantage is that it’s easy to heat only the rooms that are being used. Its con is that it’s expensive to install and needs a minimum temperature to prevent the pipes from freezing. Heat Pump – a type of heating system that gets heat from the surrounding air for heating – is powered by electricity or geothermal energy. Heat Pump’s advantage is that it can both provide cooling and heating. Its con is that some types can be expensive to install. Active Solar Heating – a type of heating system that makes use of the sun to heat air or liquid in a solar collector to immediately warm the house or store it for future use – is powered by solar energy. Active Solar Heating’s advantage is that it can reduce fuel bills. Its con is that it requires a second heating source, which in effect makes the initial purchase more costly. Electric Heating – a type of heating system that makes use of electricity and converts it into heat – is powered by electricity. Electric Heating’s relative advantage is that it’s inexpensive. Its con, however, is that it’s more expensive compared to a heating system that uses combustion. Falling under this type of heating system are wood or pellet stoves and fireplaces. As the name suggests, this type of heating equipment is powered by wood. Wood-Burning Appliance is good for ambiance. There’s, however, a danger of carbon monoxide poisoning. As such, carbon monoxide detector is necessary. As mentioned, different types of heating systems use different sources of fuel. The availability of natural gas, electricity, wood, propane, heating oil, biodiesel blends, geothermal energy and energy solar energy in your locality has to be factored in deciding what heating system to choose. Aside from the availability of any of these fuel sources, the cost of these fuel sources needs to be considered as well in choosing a particular type of home heating. Another factor to be considered in choosing the best heating system for your home is to look for an ENERGY STAR certified heating equipment. ENERGY STAR in Canada is a voluntary partnership between the industry that promotes energy efficiency and the Government of Canada. In Canada, the ENERGY STAR name and symbol are promoted and administered by the Natural Resources Canada. According to the Natural Resources Canada, ENERGY STAR certified products meet the strict technical specifications for energy performance. The department said ENERGY STAR certified products save energy, save you money and reduce the impact on the environment without compromising performance in any way. A typical ENERGY STAR certified product is in the top 15 to 30 percent of its class for energy performance. Another important aspect to be considered when buying a heating appliance is to see to it that the heating system can be integrated to a thermostat – a device that automatically controls the temperature of a heating system at a constant level or within a specified range. According to Energy.gov, installing a thermostat can save an estimated 10% a year on heating. When choosing the best heating appliance, consider the Lennox gas furnace, specifically model EL296E. When this model is paired with a Lennox electric heat pump, you’ll create a dual-fuel heating system. The heat pump will warm your home on milder days and on colder days, the gas furnace will warm your home. Switching back and forth between gas and electricity when necessary is a cost-effective way to warm your home. Lennox furnace model EL296E is an ENERGY STAR certified heating equipment, saving you energy, saving you money and reducing the impact on the environment without compromising performance in any way. 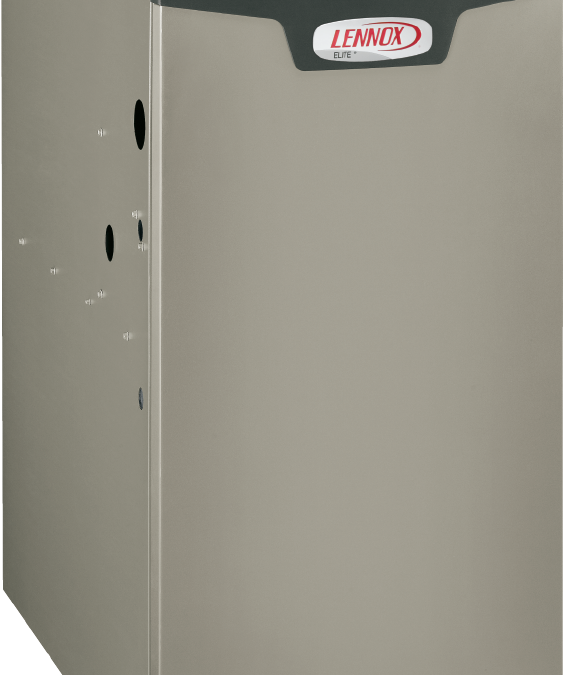 In addition to its ENERGY STAR rating, Lennox furnace model EL296E has an AFUE of 96%. AFUE, short for Annual Fuel Utilization Efficiency, is a measure of a furnace’s performance and efficiency. It’s similar to the miles-per-gallon rating on your car. The lower your fuel cost, the higher the AFUE rating. This model’s 96% AFUE essentially means it can convert 96% of its fuel into heat. This energy efficiency can save you hundreds of dollars on energy every year. Lennox furnace’s energy efficiency isn’t limited to colder months. When paired with Lennox air conditioner, you can increase your overall energy efficiency for your heating and cooling system, referred to as SEER (Seasonal Energy Efficiency Ratio). You can also save money by integrating your Nest Thermostat with your Lennox furnace. Gas heaters, furnaces, and HVAC systems always get the short end of the maintenance stick. Most people don’t think about their heaters until there’s something wrong with them or it’s time to replace them all together. You aren’t expected to become an HVAC expert the moment you sign your mortgage, but there are some unmistakable signs that your furnace needs to be repaired. You’re used to a slight rate increase as the years go on, but it seems like the numbers on your heating bill keep climbing. You may not be experiencing a regular rate increase! Your monthly bill increases could be a sign that your gas heater is starting to have problems. Take a good look at the usage section of your gas bill. If you notice that you’re burning more than usual, you need to have your unit checked out. Heaters aren’t going to be 100% silent when they’re working, yet should be relatively quiet when operating. A few small clicks are to be expected when it’s first turning on or adjusting. The trouble comes when you can start to notice noise all of the time. Squeaks, bangs, pops, and hisses aren’t normal sounds, especially if you continually hear them. Another sure sign of a heater issue is if you constantly hear the blower fan. If you hear a constant whooshing sound or the sound of a fan being kicked on or off, you should call a repairman. You know that certain areas of your home are going to feel a bit different in terms of temperature. Sunny places are going to be a little warmer, and some areas near windows and doors may be a little cooler. You’re used to slightly hot and cold spots, but all of the sudden it seems like entire rooms are icy cold or burning hot. Uneven heating is a sure sign that your gas heater needs to be repaired. It could be unevenly distributing heat, burning through gas far too quickly or slowly, or even be slowing down with age. This is usually a sign of poorly designed ductwork and not a sign of malfunctioning furnace. However new furnace units are more powerful and should distribute more air through the vents. Do you feel like the air in your house is stale? Does your skin dry out in the winter and summer? Are your allergies or asthma aggravated as soon as you walk inside? Some people will attribute poor air quality to dirty HVAC filters and environmental issues they can’t control, but sometimes the problem can be your furnace. As furnaces age and accumulate particulate matter, sometimes even the heartiest filters can’t get rid of dust and debris. If you’ve replaced your filters and have given your ducts a good cleaning, the time may come for you to replace the system completely. It seems like it doesn’t matter how high you raise the temperature, your house is always cold. The issue may not be with the thermostat itself, but with the heater you’re using. If the temperature in your house stays the same regardless of how much you touch the thermostat, call a gas heater repairman. Do you still have some questions about heaters and HVAC needs? Contact us so we can chat!